Friends of Sound, reporting to you in the early start of the day. Looking back to last weekend, Kevyn and I had a wonderful show at Dizzy’s. Thanks to all of you for coming out and taking it all in. Kevyn is really somethingone moment going wild and the next phrase singing it slo-mo and gentle. And she’s full of creativity, telling stories and bending with me as we drift into new uncharted territory. Can’t wait for it to happen again. 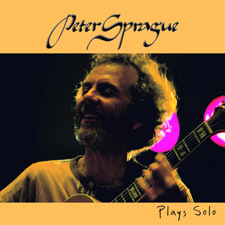 For this week we’re officially celebrating my Peter Sprague Plays Solo recording. We’re gathering at this fabulous place in South Park called The Grove at Juniper and 30th. 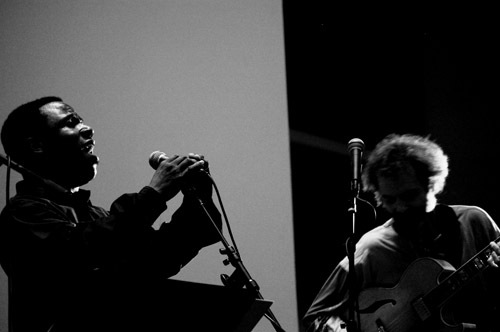 Have you heard the new recording yet? It’s having a good life so far and garnered a cool review in this month’s Troubadour newspaper. Click here if you want to zip to those words. It seems that some folks are digging my music stripped to the bare bones, no machinery in the loop. I’m having a blast playing my solo shows and working on the process of making it flow when it’s just me. It’s a big challenge and I practice all through the week to prepare for it. If it ain’t happening there’s nothing to hide behind, no other musos to pull the plane out of it’s nosedive. But when all of the details are flowing, there’s nothing like the freedom of being able to travel wherever my mind wants to go, no strings attached. Mmmm, well actually 6 strings hopefully attached to keep the sound spinning. Vocalist Leonard Patton is singing with me for this show. My plan is to play some solo guitar music and then later on in the set, bring Leonard into the loop. He cooks it! This concert is on Arbor Day and the good folks at the Grove are giving FREE tree seedlings out to the audience to plant and UP the amount of trees in the world. More air folks, gotta dig that! That’s it for now and I hope to see you out there. This is the last SD concert for a bit ‘cuz we’re heading to Mexico for music and surfing. 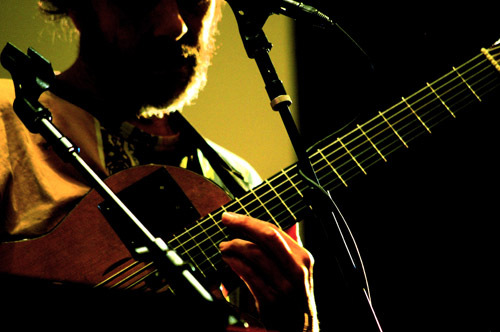 Fred Benedetti  guitar 7 PM Have you ever been to a house concert? It's a great experience and for this one we're making music at Rod and Erin's Art Studio in Encinitas. We can fit 50 people and we'll have a lot of fun. Dessert included!